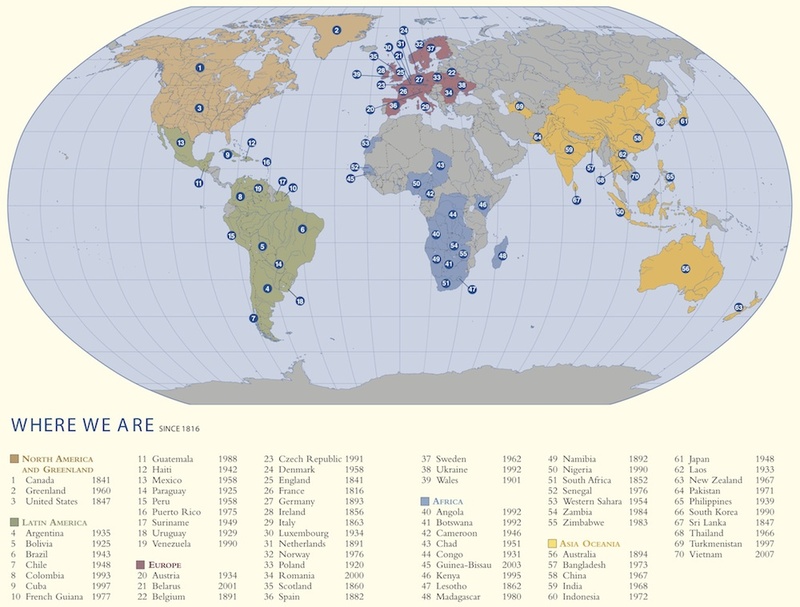 Oblates are now present in 68 countries, highlighted on the map below. Note Oblates came to the United States in the same year that they also went to Sri Lanka. The US Province of Missionary Oblates maintains a special status with two locations: 1) Zambia. The Oblates of Zambia are a Delegation of the US Province and 2) Tijuana, Mexico. San Eugenio is an official Mission of the US Province. Historically, the province has also had special relationships with Oblates in the current provinces of Haiti, Sri Lanka and Poland. Click to see download a full size MAP OF WHERE WE ARE.